The leaves are starting to change colors, the nights are getting colder, and it’s time to break out my big pot to make my hot citrus apple cider recipe. For a tangy, citrus twist, I like to add orange juice, lemon juice, and Sweet’N Low (which allows me to not feel guilty about enjoying one or two of these drinks!) to my apple cider to give it much more flavor and it’s something different than the traditional apple cider. I just love the smell of the cinnamon, oranges, and apples simmering away on the stove. It’s truly better than any candle you can buy. 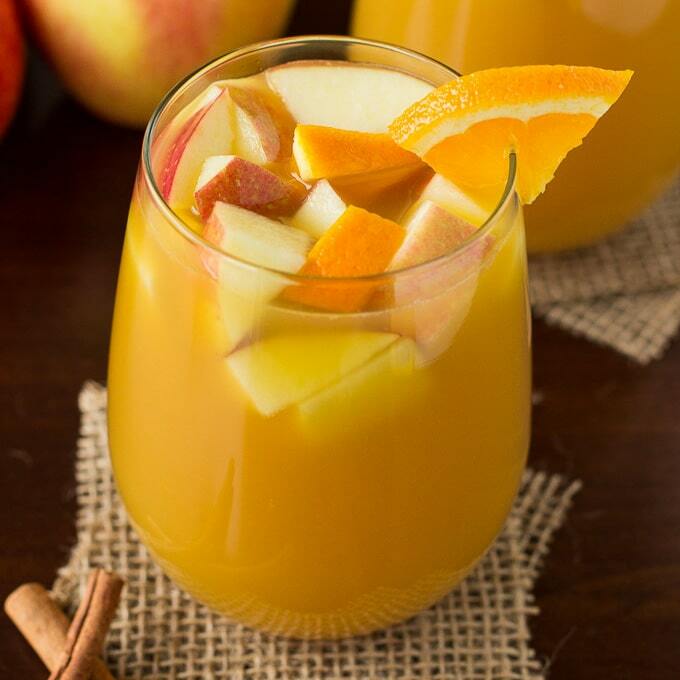 This hot citrus apple cider is really easy to make and tastes so yummy. It will warm you up and definitely hits the spot! If you can’t find apple cider, you can also use apple juice instead. Your cider with just be much sweeter. This cider recipe is perfect for the holidays because you can make it ahead of time. Just store it in the fridge and reheat when your ready to serve. 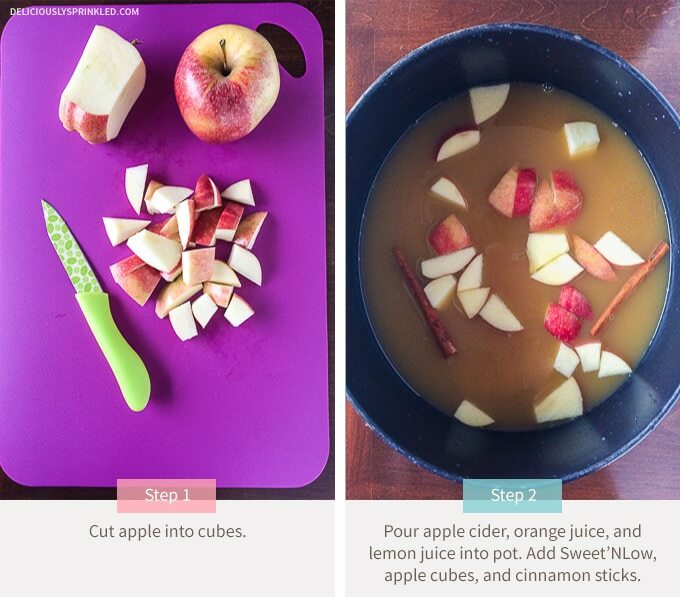 Cut apples into cubes. Set aside. In a large pot, pour apple cider, orange juice, and lemon juice into the pot. 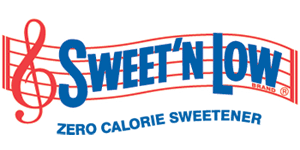 Stir in Sweet'N Low. Add cubed apples and cinnamon sticks. Place pot on stove and bring to a boil. Reduce heat and simmer uncovered for 20-25 minutes. What a great twist! The orange is beautiful! Oooooh! I would let this simmer alllll day to make the house smell good! Yum. 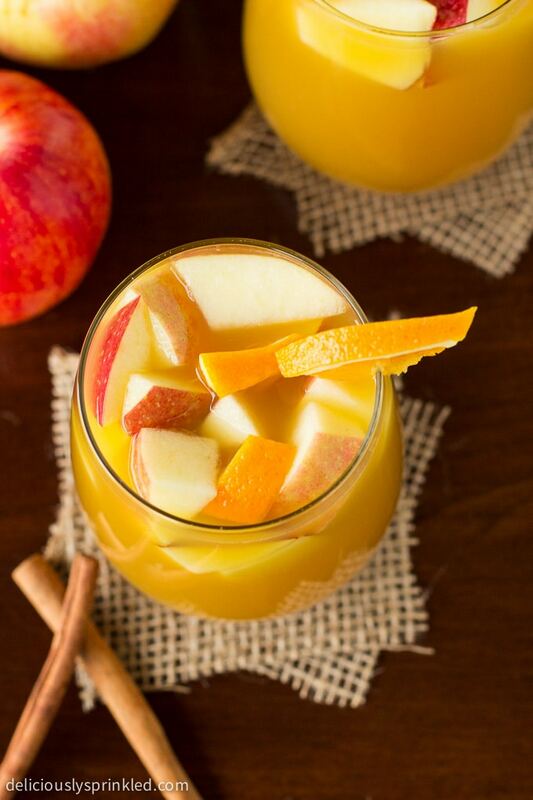 This is the perfect fall bonfire beverage. Delish! Oh I love how you have chopped apples floating in the glasses, such a great idea!! Love apple cider this time of year.. in fact if I have the choice between hot chocolate and cider it is the cider hands down! YUM! What a fun recipe!! 🙂 I LOVE hot apple cider this time of year!! It’s just so seasonal, festive and fun!! Wow! That looks awesome! I am going to get the ingredients and make some of this for my kids when the fall weather finally decides to make an appearance. OK…. YUM! This looks so tasty! Fun twist to a classic fall-time drink! I have a bit of a flu right now so this looks like the perfect drink! This looks amazing Jenn! 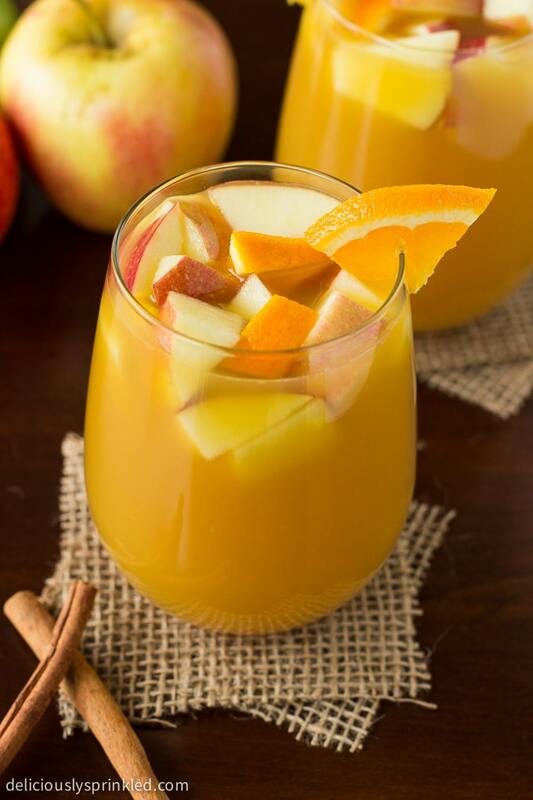 I love apple cider and with the cinnamon and citrus it’s totally all my favorite fall flavors in a glass 🙂 Can’t wait to try this – pinned!